As Yoshihiko Shimizu, the President and CEO of Japan International Broadcasting Inc. (JIB), stated, better picture quality is undoubtedly becoming very important to the European audience—this is certainly one reason why his company has signed a long-term agreement to broadcast the 24/7 NHK WORLD TV English-language news and information channel Free-To-Air (FTA) in HD across Europe via SES satellite. The transmission of NHK WORLD TV in HD has already started via ASTRA 1KR at 19.2 degrees East, and the SD channel is currently simulcast to allow for a smooth transition from SD to HD quality. The number of HDTV homes in Europe has tripled over the past five years, and 78 percent of European satellite HDTV homes receive their TV channels from SES. In Europe, the number of HDTV channels broadcast by SES has grown by more than 30 percent over the last three years to nearly 700 channels. 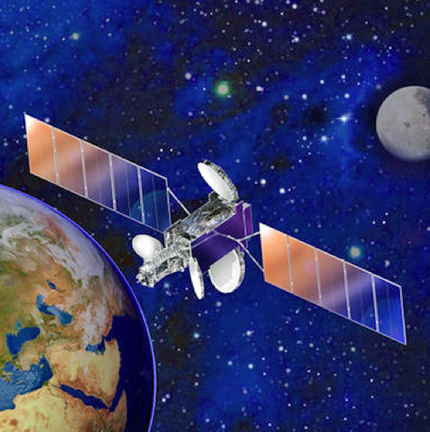 Artistic rendition of SES' ASTRA 1KR satellite. NHK WORLD TV (HD) is currently available on Channel 707 of the Sky Deutschland platform, on Channel 927 in the Logical Channel Numbering of HD+ Set Top Boxes, and on Channel 473 of the Canalsat platform. As acknowledged by Ferdinand Kayser, the Chief Commercial Officer of SES, the expansion of HDTV continues to be an important growth driver for SES.